In Idaho, the area of USDA hardiness zones 2 through 7, a variety of cold-tolerant trees, shrubs and plants do well in the landscape. There are also several fast-growing trees that will thrive in Idaho. The American elm (Ulmus Americana) is a fast-growing tree from the elm family. It grows 60 to 80 feet tall on average, with some specimens reaching 120 feet tall. Leaves are 3 to 6 inches long, deciduous and veined. Flowers aren’t showy and come in the spring. Plant an American elm in full sun with moist soil. Propagate via seed or cuttings in USDA hardiness zones of 2 through 9. The mountain ash (Sorbus aucuparia) is a fast-growing tree from the rose family. It grows 25 to 40 feet tall with dull green leaves and white spring flowers in clusters. Berries are orange-red and appear in the summer. Plant a mountain ash in well-drained soil in bright sun. Propagate via seed or grafting in USDA hardiness zones of 2 through 7. The black willow (Salix nigra) is a fast-growing tree from the willow family. It is easy to grow and will get 65 feet tall with lance-like leaves of varying shapes. Seeds are dispersed on long, white hairs by the wind. Plant a black willow in full sun in moist soil. It can tolerate partial shade and some flooding. Propagate via cuttings in USDA hardiness zones of 2 through 8. The boxelder or ash-leaf maple (Acer negundo) is a tree from the maple family. It is a fast growing, easy-to-grow tree that gets up to 50 feet tall with 2 to 4 inch long leaves. Foliage starts out yellow, gets green in summer and then turns yellow-brown in fall. Plant a boxelder in full sun in the northern USDA regions and in afternoon shade in the southern portions. Soils should be well-drained, or moist. Propagate via seed or cuttings in USDA hardiness zones of 2 through 9. The Siberian elm (Ulmus pumila) is a tree from the elm family. It is a fast-growing, easy-to-grow and drought-tolerant tree. It can grow 75 feet tall with 1 to 3 feet long deciduous leaves. Tiny flowers bloom in spring. 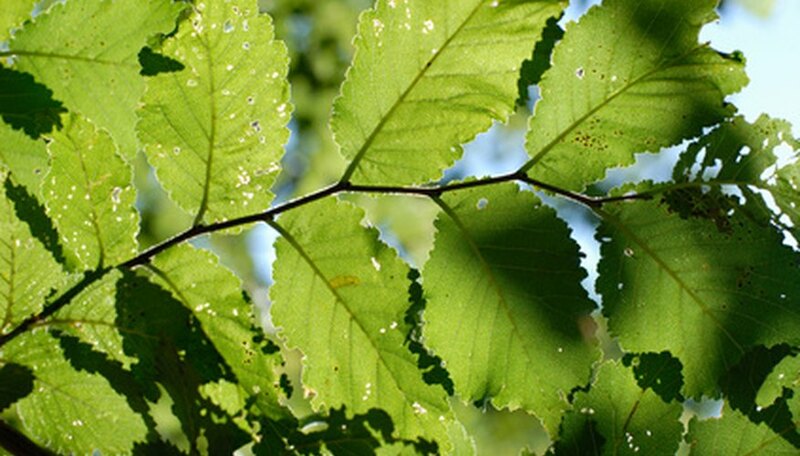 Plant a Siberian elm in full sun in almost any type of soil. Propagate via seed, graftings or cuttings in USDA hardiness zones of 3 through 9.